There were 15 posts published in May 2011 (this is page 2 of 4). Have you ever been in an Apple store and used an Apple product? If so, you saw that there are components that are consistent. There’s lot of white space. There is modern design and simple design/architecture. Even Apple’s ads are created this way. You are feeling the experience effect. 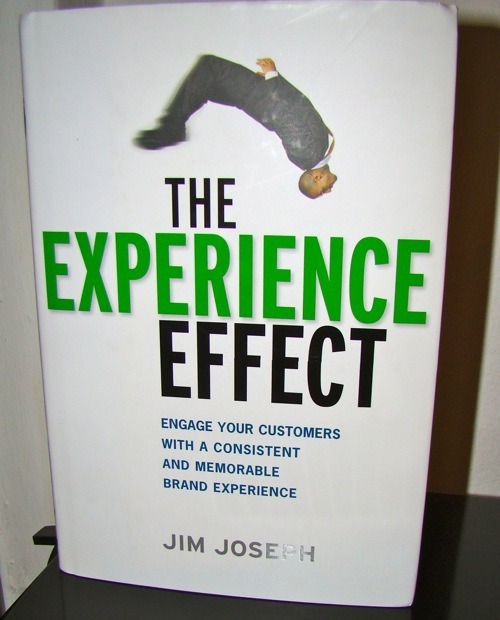 Jim Joseph shows you how to create a strong experience effect and how to align your marketing. Define your brand: You should start with defining what you want. Do you want to be a high price segment product/service? Do you want to be hip? Try to list what makes your brand special. The next step is to find out who your possible prospects are. Who wants a high priced hip product? Where do they live? What do they do? Live your prospect’s life: If you can’t live it, observe it (or at least talk to them). Follow a customer one day and register what she does, where she is and what she consumes. This way you can see how you could improve your channels and what is important to your customers. Be consistent: A brand is about the experience with the brand, not what the marketing manifesto says. If you begin to be inconsistent than your brand will lose value and eventually die. If you brand stands for great customer service but people have to wait 20 minutes in the waiting loop, you brand isn’t trustworthy. What are the touch points? If you’ve done the first step, you probably registered a lot of touch points (channels), e.g. billboards, radio ads or specific websites. You should find out which touch points are the strongest and build strategies that are consistent with your brand experience. The Experience Effect is a solid guide to branding. Jim Joseph explains each step very detailed and practical. He shows why Madonna is more successful than Jennifer Love Hewitt and gives you actionable advice on how to improve your brand. Nice book! You are now in charge of a team of discouraged people and your job is to increase their productivity. What would you do? Mary Jane, the fictive new manager, has gone to a fish market and learned why you can be productive and happy despite having a exhausting job. Choose your attitude: You chose your future and how you will experience it. If you truly decide to be energetic, you will be energetic. If you decide to be depressed, you will be depressed. You decide how you see the world. Play: Work don’t have to be exhausting and depressing. Try to include some fun. You can make games out of the most boring activities. I have once worked on a really boring assignment where I had to check about 10,000 addresses per hand. I created some goals and tried to get faster from hour to hour. It wasn’t the greatest game ever played but at least I had some fun. Make their day: Do something that will WOW others. You have always the opportunity to be outstanding. Can you finish a project sooner than announced? Can you do something remarkable for your customers? Just think and let your mind flow. I’m sure you know something. Be present: There’s a Zen lore where a pupil asks his master why he is so happy. And the Zen master answers: “When I eat, I eat. When I walk, I walk. When I sleep, I sleep.” When I heard this the first time I thought that it was obvious. However, it isn’t. The key is to be present and do one thing. Don’t play with your kids and talk to the phone. Don’t read a book and watch TV. Fish! is a nice book in an unusual setting. It’s really short, i.e. you can read it in 60-90 minutes. I don’t really have anything to criticize but also I’m not overly impressed. However, these principles are really valuable and if you haven’t implemented them yet, you probably should read this book and start making your life more livable. Do you want to know more about SEO than just the basics? 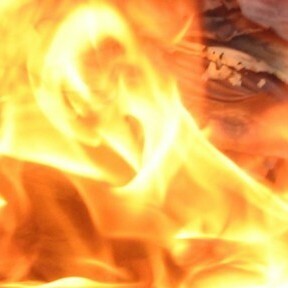 Then Danny Dover, who worked for SEOmoz, provides the solution. He writes about his methods which he uses in consulting and shows you how to bring your site to the next level. Domain and Page Popularity: Why do Wikipedia nearly always rank first in Google? Because of its domain popularity, i.e. their domain is often linked. However, their page popularity is often low, i.e. how often each page is linked. It’s important to understand the concept. You probably won’t outplay Wikipedia’s domain popularity but this does not mean that you can’t rank first for the specific keywords if your page about the keyword gets enough site popularity. Links still matter: They do. However not just inbound links also internal links and the whole information structure. Firstly, you should name your internal links carefully. No more click here (Hint: it’s a search for click here). Secondly, you should organize your structure in a meaningful way. For an online bike store, e.g. examplestore.com/mountainbikes/somebrand. Furthermore, your hierarchy should be flat and each page should be accessible within a few clicks. Learn from your competition: Look on the competing sites. What do they do right? What do they do wrong? You can learn a lot from them. An other example is the search for backlinks. You can use Open Site Explorer to find out who links to a domain. Often the same sites could also link to your site. Great success! 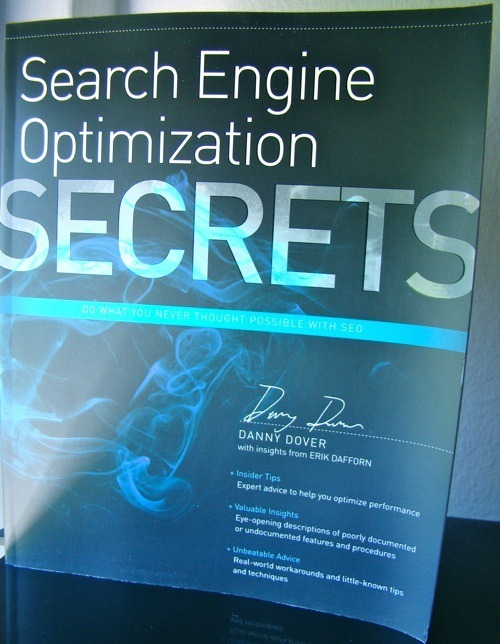 Search Engine Optimization Secrets is an amazing book. Danny Dover gets into great detail and covers a lot of topics. He even wrote some chapters for people who want become a SEO consultant. For my knowledge level (advanced) this is a great book. 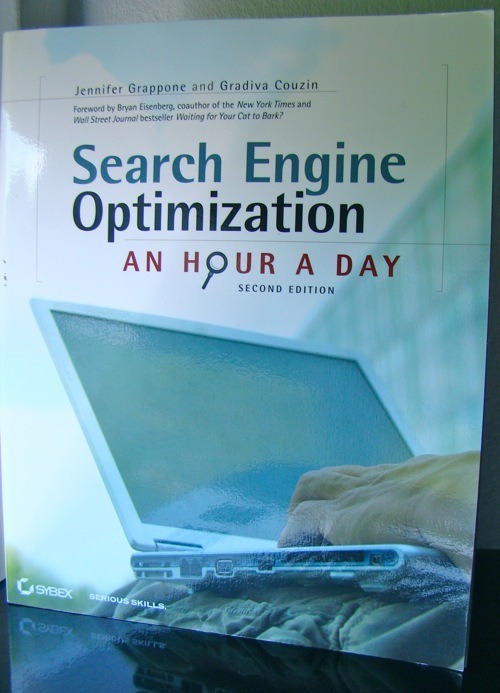 If you are new to SEO, I recommend reading Search Engine Optimization: A hour a day. If you are more advanced, this is exactly the right book for you. Recommendation! You heard of Search Engine Optimization (SEO) but don’t really know what is about? No problem, Jennifer Grappone and Gradiva Couzin will help you to start your SEO campaign and execute it successfully. Choose and use your keywords: If you want to be found when someone is searching for water bottles, you have to write about water bottles. This is a fundamental step. A good tip for selecting keywords is using composed keywords, e.g. plastic water bottles or sports water bottles. Over the time search queries increased in length. The average query is now about four words long. Create Buzz: A major attribute of good search ranking are backlinks. Create content people want to link to. Create Buzz. Write things that people want to share. How-to lists, Top X lists, videos and pictures/infographics. Measure your success: You can’t control what you don’t measure. Start using a simple analytics software like Google Analytics. This allows you to see how many people visited your site, which sites and where did they come from. However, don’t be discouraged if your traffic isn’t roaring immediately. Everything takes time. Search Engine Optimization: An Hour a Day is a very basic text which is appropriate if you never read about or done some SEO. The authors present the key principles neatly structured and allow you to follow a plan to increase your search engine ranking. 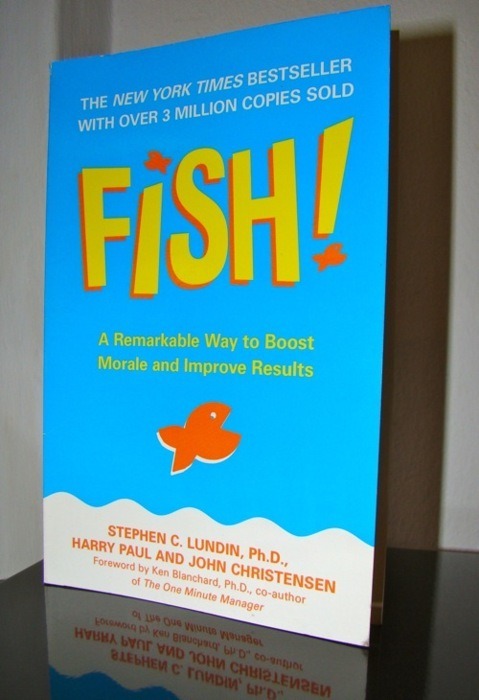 In conclusion, if you’ve never done anything with SEO or don’t have much time, this is a book for you.